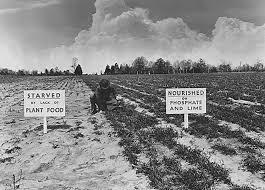 Plants need phosphorus to grow and of a kind that they can assimilate. 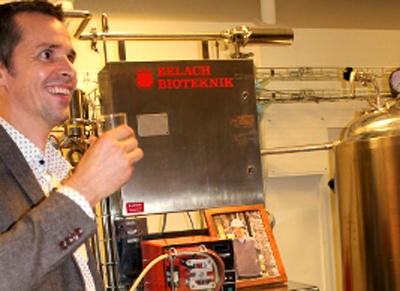 Photo by courtesy of Google Images (4 November).Thanks to new grants from the Swedish Research Council, three new projects can go ahead in Bio4Energy aimed at developing cost-efficient and clean technologies for biogas or synthesis gas scrubbing, which can serve as alternatives to similar technologies based on the use non-renewable fossil fuels. In addition, Bio4Energy's flagship project on phosphorus recovery and removal of contaminants from waste sludge can be taken a step further towards implementation of the technology on a commercial scale. 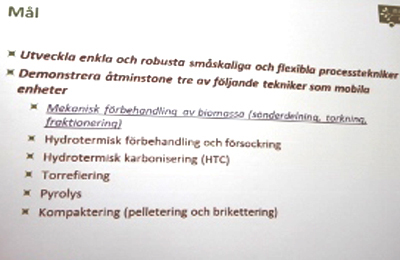 SP Processum and Bio4Energy gave a joint seminar for the SP Processum member companies and Bio4Energy's Industrial Network, yesterday at Örnsköldsvik, Sweden. 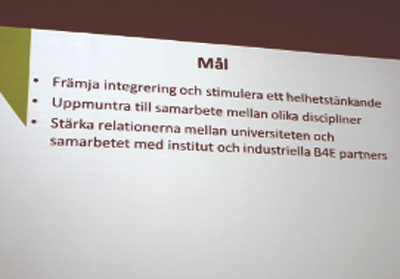 Seventy-five people from industry, business incubators, academia, research institutes, consultancies and regional and national Swedish authorities came, listened to presentations, workshopped and networked. The focus was on deepening and widening the cooperation between the actors in the network, to uphold and strengthen the position of northern Sweden as a leading region for development of biorefinery based on wood or organic waste. 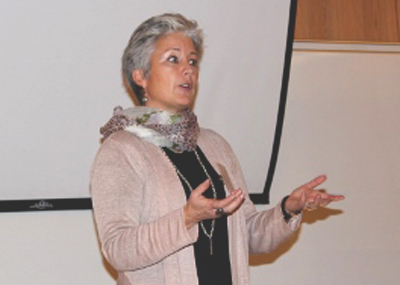 Several speakers took the opportunity to reach out, or even to urge, members of northern Sweden's biorefinery business community to dare to take the step and cooperate to develop innovations. One said: "If you think the real reason I am here is to market my offer you are right... We are bringing in new technology and infrastructure and I am asking you: 'Shall we dance?'". 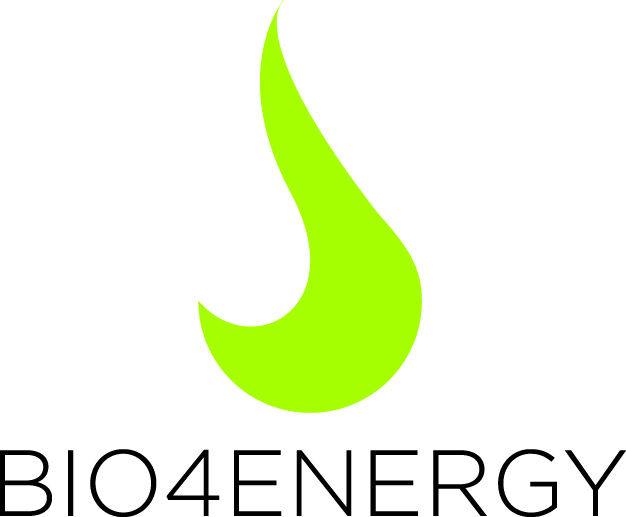 Five research projects deemed capable of promoting the strategic development of Bio4Energy, and the type of research and development its members carry out, have been selected for funding in the Bio4Energy’s second programme period. The projects are deemed to be beyond state of the art and to propose a new direction of research within the field of biorefinery based on wood or organic waste. 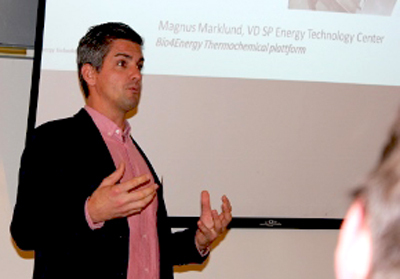 Their project leaders, representing four of the seven Bio4Energy Research and Development Platforms, will be outlining their respective projects at a conference 25 October at Umeå, Sweden. For more, see the Bio4Energy Newsletter of this autumn. Here we list the 2016 Bio4Energy Strategic Projects. 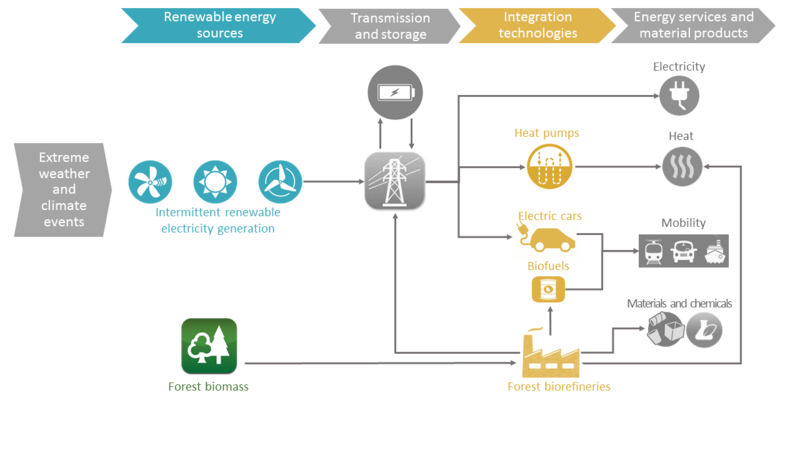 Magnus Matisons, Biofuel Region and the Bio4Energy Industrial Network, is a new representative for Sweden on the European Union Bioeconomy Stakeholder Panel. Photo by courtesy of Magnus Matisons. Ever wished you had a voice in Brussels, to express your thoughts to European Union officials about what the EU should or should not do to promote the transition to a bioeconomy? 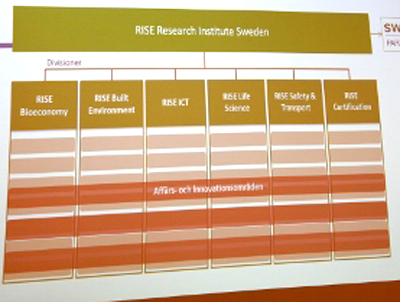 If you are in the Scandinavian part of Bio4Energy's network, chances are that you do. "That's breaking a record", to believe Matisons. 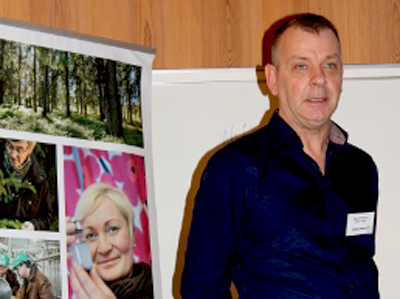 Matisons is a well-known figure in forestry and biorefinery circles in northern Sweden. 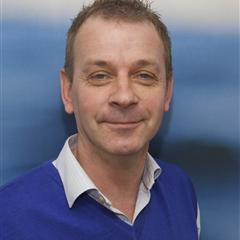 He has worked both as a scientist at the Swedish University of Agricultural Sciences and, more recently, as project leader with Biofuel Region, which organisation works to promote biorefinery development across northern Sweden. Swedish Prime Minister Stefan Lövfen (centre) and rural affairs minister Sven-Erik Bucht paid a visit to Örnsköldsvik and Bio4Energy partners. Photo by J. Forsberg.Today, Sweden's Prime Minister Stefan Lövfen, and his rural affairs minister Sven-Erik Bucht, made a flash tour of Västernorrland County, paying visits to partners in Bio4Energy's Industrial Network: SP Processum, Domsjö Fabriker and Holmen Skog. 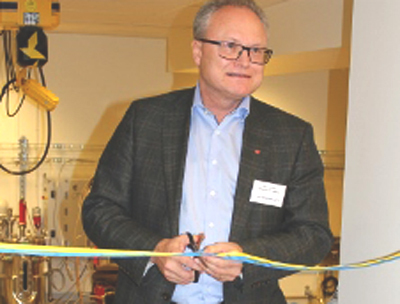 SP Processum acts as a science partner to a host of member companies in and around the northern Swedish city of Örnsköldsvik. The visit there follows others to the region by the Swedish energy minister Ibrahim Baylan, who came to meet Bio4Energy at Umeå in November 2014, and his innovation counterpart's participation in the final stages of last year's Innovation Race, in which representatives of companies, research institutes and academia met at Umeå over several days to come up with innovative solutions for realising the bioeconomy. Sweden's energy minister Ibrahim Baylan told a conference that academic input had been vital for the government's recent Energy Agreement with opposition parties to go through. Photo by courtesy of the Luleå University of Technology. 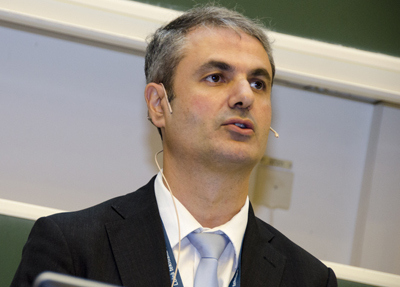 A conference by Bio4Energy researchers and colleagues on the transformation of Sweden's energy system finished at Luleå last week, with keynote speaker Ibrahim Baylan, the Swedish energy minister, concluding that the recent Energy Agreement struck by the government and parties in political opposition before the summer recess hardly had been possible had the government not consulted widely with academic stakeholders. 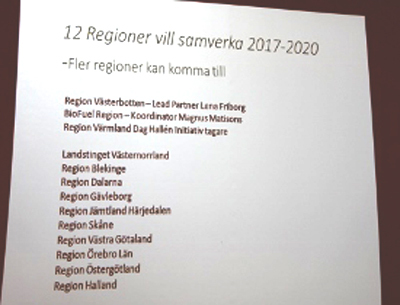 The agreement between the ruling Social Democrats and Greens, and the Moderate Party, Christian Democrats and Centre Party in opposition, states that Sweden aims for its economy to have zero greenhouse gas emissions by 2045 and for its electrical power production system to be "100 per cent renewable" by 2040. 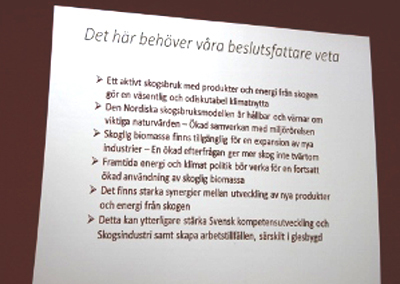 The 23-24 August conference, hosted by the Swedish Association for Energy Economics and the Luleå University of Technology (LTU), also heard energy profile Tomas Kåberger, professor at the Chalmers University of Technology, contribute a global perspective and, notably, talking up solar energy as having a great potential of increasing the share of renewables in the overall energy mix. He had pointed to the example of how Germany has kept subsidising solar power installations and how, subsequently, solar panels have become mainstay on German rooftops, according to professor Lundmark. Swedish summer at its best? Photo by Anna Strom©.Bio4Energy is taking a break and will be back in a few weeks. Meanwhile we wish our researchers, partners, friends and stakeholders a great summer—or winter, if you are in the Southern Hemisphere. Illustration by courtesy of Elisabeth Wetterlund.System analysis researchers in Bio4Energy, together with colleagues at partner organisations in Europe, are starting a new project that will deliver assessment tools for the integration of electricity produced during biomass conversion operations into power production systems that currently rely on high shares of intermittent renewable sources of electricity such as wind and solar. 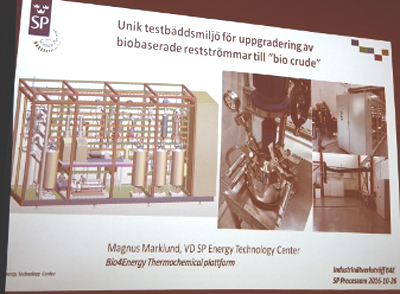 Last week, the Swedish Research Council Formas announced its intention to fund the project over two years and which will see considerable exchange of expertise between Bio4Energy at LTU, the International Institute for Applied Systems Analysis and the University of Natural Resources and Life Sciences, Vienna. The latter two organisations are based in Austria. Several European countries are looking to introduce high shares of electricity made from renewable sources in their energy systems, but face the potential problem of either having to store solar and wind power at a high cost or not having enough in store during extended periods of cloudy weather and low winds or, for that matter, in times of even more extreme weather events.